When I was pregnant with Maryam, I had many cravings. But healthy ones. Cravings for foods that would nourish my body and that of my growing baby. I went through phases where I would eat boxes and boxes of strawberries. Then came watermelons- I couldn't get enough. I preferred eating them as is but would relish them in salads, smoothies as well as granitas. This time has been different though. The cravings have been rather unhealthy. Every night after dinner, I seem to gravitate towards dessert. Anything will do really- a cheesecake, coffee ice cream, brownies. Sometimes when there is no sweet treat in sight, even a few small squares of dark chocolate will suffice. As the arrival of baby number two looms close, I thought I'd treat myself to one more dessert, one more indulgence, one more craving before I start to eat healthy again. And this clementine custard certainly hit the spot. A pinch cinnamon for warmth, citrus for some freshness and zing. 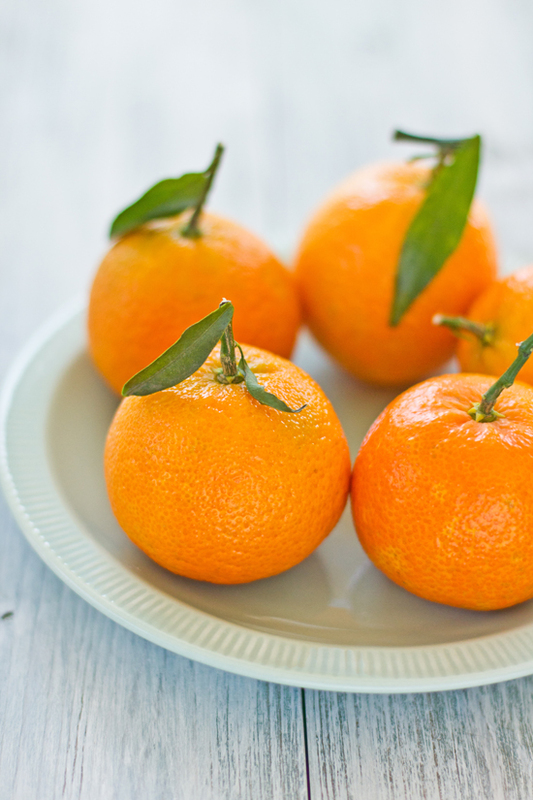 I have been eating these beautiful French clementines for a couple of months now. Perfectly formed, sweet but not overly so and the most scintillating orange red hue you will ever see. They usually don't last long in our house. Either Maryam will eat them as is or I will have juicy slicy with some vanilla infused yoghurt for breakfast. But I saved a few aside for these clementine custards. The fragrance of clementine and cinnamon simmering in a pot made the whole house warm. A small dose of sunshine in our day for what has been a chilly start to the year in Dubai. There was also a citrus tabbouleh we had which I look forward to sharing with you soon. Perhaps after baby comes along? In a bowl, mix together 2 cups milk, sugar, clemntine juice, zest and egg yolks. In a separate bowl, dissolve cornstarch in water until there are no lumps. Add this to the milk mixture. In a saucepan over medium heat, boil 1 cup milk with cinnamon. Remove from the heat and whilst constantly whisking, add your cold milk mixture to the saucepan. Place saucepan over medium heat and stir constantly until the mixture coats the back of the spoon (can take up to 10 mins). Pour custard into individual ramekins and refrigerate until set for at least a couple of hours. Serve cold with clementine slices. Makes 4- 6 ramekins depending on size. Please note the texture will not set as a mousse but will be like a creme anglaise. Mmmhhh, that sounds and looks divine! What a gorgeous flavor. Mindblowing custard,seriously feel like having some. It looks and sounds really good! I want some now!!! Talking about cravings during pregnancy, you take me down the nostalgia path. I really did not have any cravings and that surprised me and my family. But it was true considering, I was cooking all my meals myself all through out pregnancy and threw my cravings out of the window. I am so happy that you are enjoying your pregnancy and are having cravings for different sorts of food. Have fun. Happy New Year. What a lovely, custardy start to 2012. Good luck with baby no 2. It seems I now have a craving too! Outstanding! so exotic...looks extremely delicious . happy new year ! Beautiful photos of the clementines! If you are going to crave something during pregnancy, it should be something as simple, fresh and lovely as this dessert. Beautiful pictures as always Sukaina. I know how the cravings get towards the last trimester. I too had terrible cravings for dessert, unfortunately due to gestational diabetes, I had a very restricted diet after 24 weeks. That made me even more moody and grumpy. The first thing I had after delivering my baby was a fruit custard. I was reminded about that day when I saw your post. Good luck with your second pregnancy. Rest up and take care. lovely. lovely! I like custard, a lot but sometimes they can be a little bit heavy. You have added the freshness with fruit! Gorgeous!!!!! 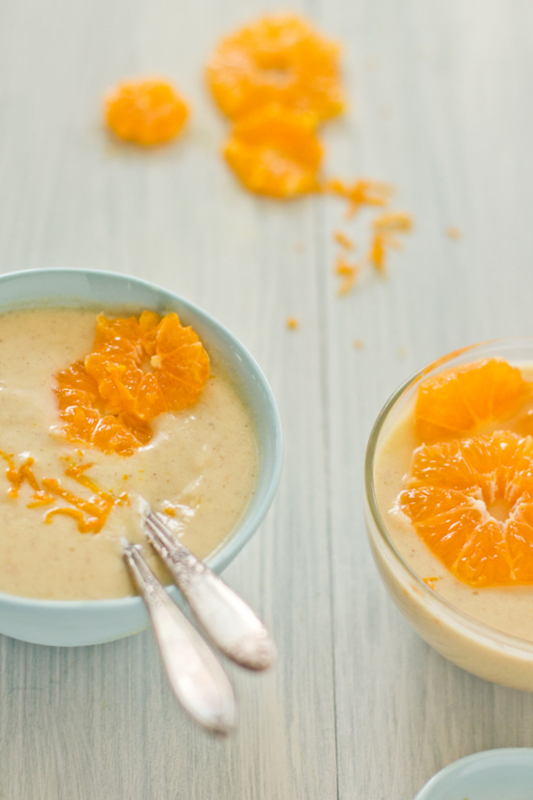 I grew up on banana custards, but clementine sounds so divine!!! And they look so beautiful too. I can taste the orange from here! Going to the top of my list. I read this post today morning and have been craving it all day! You mean friend :-) Gorgeous! 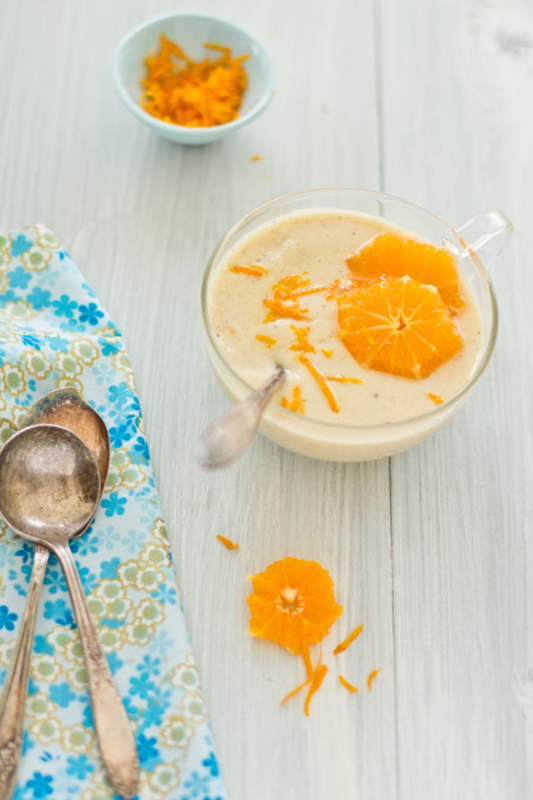 The clementines and custard look simply divine! And I look forward to hearing about your citrus tabbouleh. Amazing! I'm not pregnant but recently been craving orange marmalade. Love the taste of orange, and cinnamon. Thanks for the inspiration! Lovely, fresh, even if unhealthy ;) way to start 2012! Good luck with the delivery darling! Wonderful custard! I was the same way when I was pegnant with both kids. I NEEDED something sweet before bed...usually a warm brownie with ice cream. I would have loved this custard though, it looks amazing! Lovely recipe!I guess during pregnancy you're entitled to a little bit of indulgence :)Enjoy! 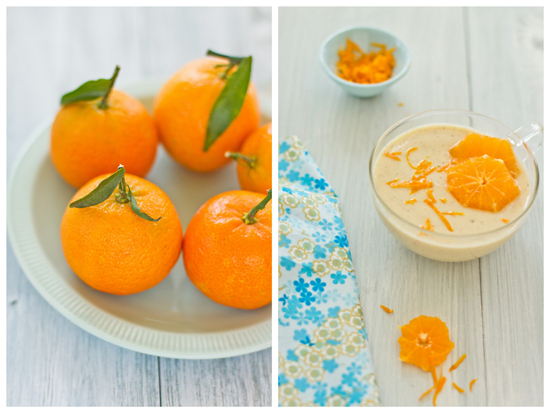 I've been waiting to read this recipe since you first tweeted about it :-) Looks absolutely gorgeous - I love clementines and this is such a simple, beautiful way to showcase them. Such an absolutely beautiful custard, and the photos are amazing! 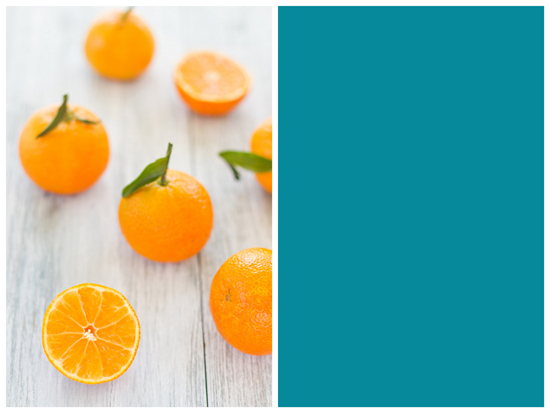 Cinnamon and orange is a brilliant pairing! Good luck with the arrival of baby #2, it's almost the big day! just stumbled upon your blog. wonderful recipes and gorgeous photography. perfect! you'll be on my 'must read daily' list. have a great day. Well, this looks more healthy than sinful, so I wouldn't feel guilty at all! 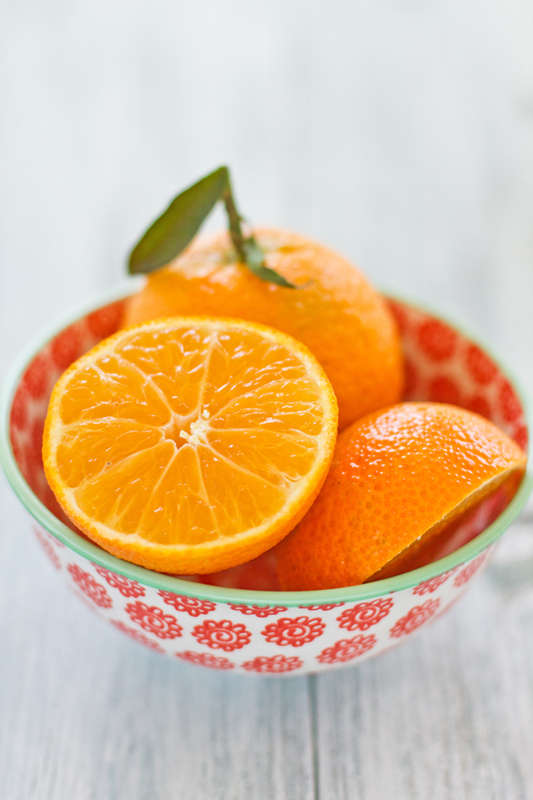 I remember craving so much citrus, particularly grapefruit, when I was carrying my daughter. Congrats on your #2! Love your blog. You take the best pics. Absolutely mouth watering. Love this.... please pass me a spoon. Hi there, I've just come across your blog and love the gorgeous photography. I am a big fan of custard too! Your post has me nodding my head and chuckling: when I was pregnant with son #1 I craved super healthy things, lots of vegetable-based food like couscous and curries. For son #2 all I craved were brownies, cookies and fast food! And funny thing is, that is how each of them eat, as if what I ate when I was expecting each one of them had a hand in forming their own tastes. 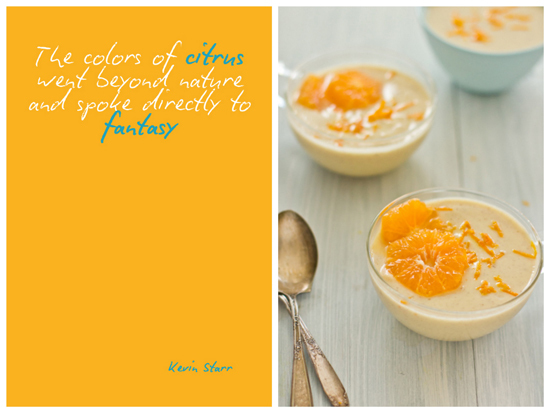 I live on Clementines here in France during the winter and rarely use them to cook or bake but I love this custard! Perfect and scrumptious! gorgeous photos. so pure and clean. just like this recipe. I hope I crave fruits when I am pregnant. My sister wanted nothing but chocolate and curry! I could do with a bowl of this right now. Congrats Sukaina! and lots of love to the baby and the big sis. Your photographs are like a oasis in a dessert. Calming and absolutely gorgeous.. how many times will I tell you that? :) Every time! We are having a lot of clementines too! Such a wonderful fruit.lovely custard. I never craved anything during my pregnancies.Had to force feed myself as I had no appetite at all. 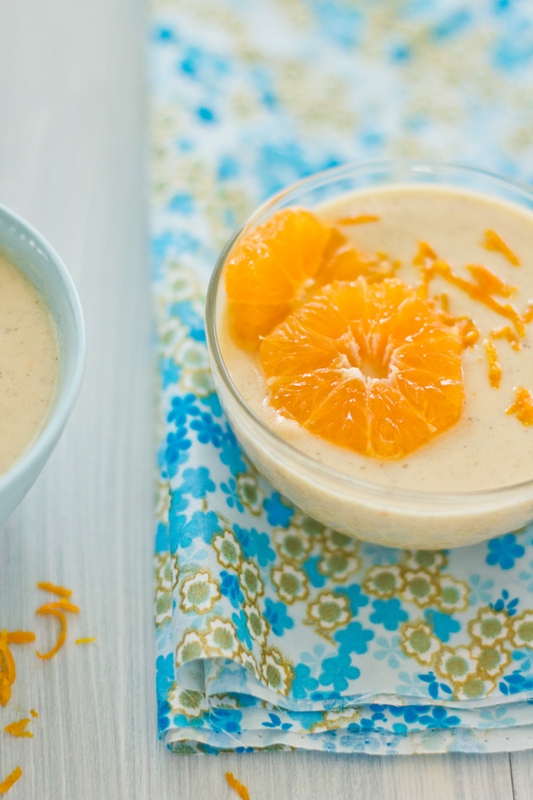 This clementine custard is a wonderful way to satisfy a sweet craving--such fresh flavor! Saw one of your tweets just now--congrats on baby #2's arrival, Sukaina! Beautiful indulgence Sukaina! Snuggle with that baby in my honor! I miss those days! I found your site by mistake and i'm glad i did.I loved every single post you have here, the photos, your family is beautifull and you are a cook with love. I´m from Portugal a litle bit far from you but i enjoy sites and blogs like yours, that have a "light" and a clean look. Congratulations, really! I have subscrive so i can know all about new posts. Good luck with 2nd bundle of joy!! 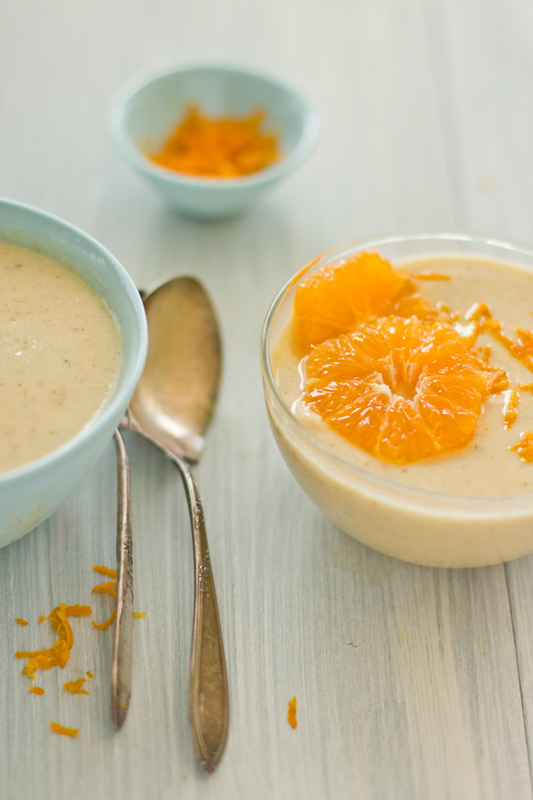 This cinnamon infused clementine custard sounds great. Thanks for the recipe. articles. I'll bookmark your weblog and check again here regularly. I'm quite certain I'll learn a lot of new stuff right here! Best of luck for the next! toys. From house training to tricks, lots of great basic info is shared here. needs to. Toy dog will enjoy shorter training time compare to watch dog.